Who doesn’t like a good disaster movie now and then? I’ve always been a big fan of them, heedless to say they haven’t always been Oscar-worthy. Which is why I like Roland Emmerich when others don’t…they’re just nice to look at, and the thrills they bring along are equally fun to watch and be a part of. Tornadoes are a topic I’ve always had a fascination with, even after having nightmares of them as a child – and there haven’t been a lot of tornado films, past Twister. The previews to Into the Storm looked pretty good, because it mixed the plot of Twister with the filmmaking style of Cloverfield. So this film centers on three main groups of people. Stormchasers, student filmmakers, and…redneck idiots trying to get their 15 minutes of YouTube fame. All have cameras rolling constantly, and it all revolves around a super storm of Tornadoes that is sweeping through a small city – each tornado apparently getting worse than the last…you’ve seen Twister, just imagine that with found footage/documentary style. It increasingly surprises me as to what constitutes for found footage nowadays. It is done so professionally and so smoothly that you often forget that there’s supposed to be a camera recording these people. There is almost no glimpse of shaky-cam in the entire thing – and most of it is recorded by amateur students with a handheld camera…so how is it so ridiculously smooth? What made Cloverfield, Blair Witch, Paranormal Activity, Chronicle, and so many others believable was their sense of amateur footage. Random shots that don’t make any sense. People recording the floor when they thought they shut off the camera. Shaky cam. It all comes together as a dedication towards the art of believability. 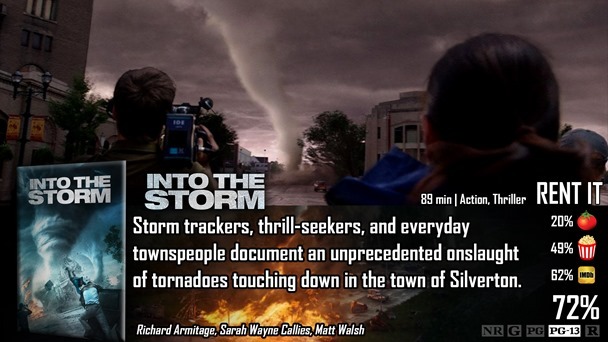 So in a word, you can tell this is a movie and not a documentary made by storm chasers combining footage. The next issue of the film comes from characters. Not only was the acting bad, but so was the character writing as well as casting. I gotta say, the kid’s dad in the movie felt very…strange. His deep voice and cold persona felt more like a villain than a caring father…it was certainly not believable…and Matt Walsh as the obsessive, impatient filmmaker. The guy is a comedian, and instead of giving us a serious role, he gave us something else to laugh at – we just weren’t supposed to. So, why didn’t I give this a really bad score? 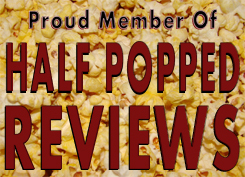 As I said in the beginning of the review – it’s not trying to be anything other than a flashy fun time. The graphics aren’t exactly stellar, but they are impressive nonetheless. You’re watching the thing for the look and devastating destruction of the super tornadoes – and for that reason alone, you may be surprised at how much you’re willing to forgive. The found footage as a collective was too similar in style than believable for a diverse group of individuals with different kinds of cameras, the big storms would have had so much rain it would have gotten the camera lenses wet and impossible to film, a lot of the shots don’t make logical sense, the rednecks are ridiculously annoying, but hey…it’s still a fun movie when you don’t nitpick. Into the Storm is silly, and unbelievable in way too many ways to count, but it’s still fun just to watch for the heck of it. The tornadoes look pretty nifty and there are some truly great looking shots in general – filled with enough action and suspense to carry the film. It’s still very silly and unbelievable in too many ways to count.